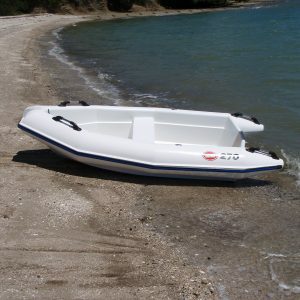 Easy to launch from a beach, this manoeuvrable MAC 360 is a great boat for the holiday home or as a tender for a large boat or houseboat. 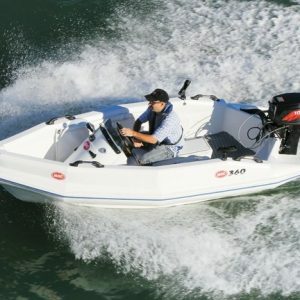 A great lake, or estuary boat, or tender that can take the occasional hard knock against jetties, shores and rocks.The convenient forward steer position makes it really manoeuvrable and leaves plenty of room for friends and your gear.This boat is also ideal for the serious fly fisherman or diver. 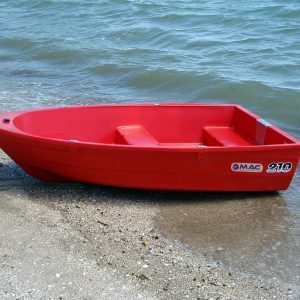 Easy to launch from a beach this MAC 360 is a great boat for the holiday home or as a tender on a large boat. 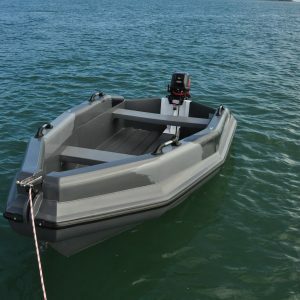 Tough yet light at 55kg; extremely stable pontoon tender.